Modern kitchen remodels don’t have to be boring. In fact, the kitchen provides a great space for creativity in terms of what you can do with features like brand new kitchen cabinets and decorative cabinet hardware, stone countertops, and innovative sinks and faucets. At ProSource® of Tempe, we offer a wide range of top-quality products that can add a fun, unique touch to your client’s kitchen and look forward to helping you pick them out. 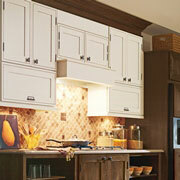 When it comes to picking out the perfect kitchen cabinets, your client has the right to be picky. High-quality wooden cabinets have the potential to make any kitchen pop with color and style, especially when they are adorned with fun hardware. Visit our Tempe showroom today with your client and we’ll help you select the best wholesale cabinets that match your kitchen’s style. 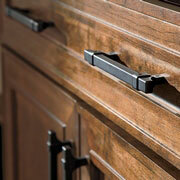 Kitchen cabinet hardware provides a stylish way to make kitchen navigation easier. At ProSource of Tempe, we offer a wide variety of wholesale cabinet hardware, including stunning pulls, hooks, knobs, and pendants that will make your client’s cabinets pop. 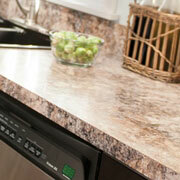 At ProSource of Tempe, we believe that kitchen countertops shouldn’t have to break your client’s budget. In fact, we offer some of the best granite and quartz countertops on the market at wholesale prices you simply can’t find anywhere else. 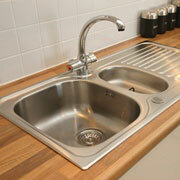 Plus, we also supply eco-friendly countertops made from recycled or blended raw material. Today, kitchen sinks are available in a wide variety of styles and have evolved to include many different features, spouts, and other fun additions. We invite trade pros and their clients to stop by their local ProSource showroom and have our experts help them navigate the latest in kitchen sink design and technology. 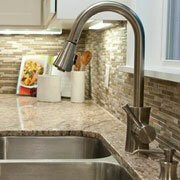 Kitchen faucets can transform any kitchen sink into a masterpiece and often come with inventive aspects like different kinds of spouts, extendable tubes, and adjustable water flow buttons. Visit our showroom in Tempe today and we’ll teach you all there is to know about different kitchen sink faucets and the purposes they serve.